Tooth loss is sometimes one inevitable condition that the body could face. It can be caused by certain factors, such as injury, tooth decay, and in some cases, a periodontal disease that occur because of poor oral hygiene. Because of this condition, dental procedures and even cosmetic dentistry, which include dental implant surgery, are done to give individuals who suffer tooth loss the privilege of having a good set of teeth (even with false teeth), convenience in eating, as well as the confidence to talk and smile. However, the trend of putting on bridges and dentures lasted for many years until the dawn of dental implants. These classics, though they give a superficial confidence to the one wearing them, still add unmanageable inconveniences because of factors like the tendency of the dentures to slip when talking and eating, and the trouble that adhesives give upon application. When dental implants first entered the market, prices were too high for average-income earners to afford. 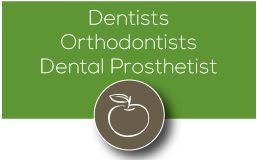 Nonetheless, dental plans are offered to give everyone the chance to take advantage of the procedure. Nowadays, affordable dental implants are already available in the market. While some are still hesitant to go for a dental surgery, more people opt for dental implants because of several benefits. Durable and convenient: since dental implants are attached as a fixed replacement, you can save yourself from the hassle of removing dentures as well as the need for messy denture adhesives. With proper oral care, your dental implants can last for years and even a lifetime. Natural appearance: who would notice that you are wearing false teeth? Nobody. It is because dental implants are made to match your own teeth so that they will feel and look natural with the rest. 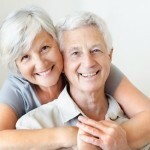 Comfortable: whether you talk, smile, and eat, dental implants will get you covered all the time. Since these are fused with a bone, they become permanently attached to your mouth and appear just as natural as your teeth. Unlike dentures, dental implants are fitted where the original teeth are supposed to grow. Loosening of the implants and slipping off the teeth are almost impossible to happen, thus giving you the confidence to talk, eat, and smile to your heart’s content. Tie-up with a health insurance company: before the start of the procedure, you will be given a cost estimate which includes all the fees of the treatment. 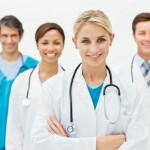 We will prepare the treatment plan for you. Once you have all the cost, check with your insurance company to know what they will cover. This way, it will be easier for us to collect directly from them. No-interest direct debit payment plan: through this payment plan, you will have the option to pay weekly, fortnightly, or monthly within the duration of your treatment. A 20% deposit may be required before starting your treatment under such payment plan. For further assistance, a Gumdale Dentists Treatment Coordinator will guide you in selecting the best payment option for you. A registration fee of $25.00 is all you need to get started with your dental implant surgery at Gumdale Dentists. Fill up the online form now and we will be at your service. While dental implants are typically more expensive than dentures and bridges, there are, however, cheaper and more affordable dental implants in the market nowadays. There are also payment plans that dental centres offer. Also, most medical health insurance companies are offering them. 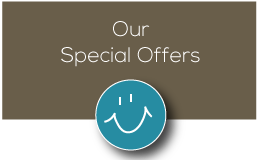 Here at Gumdale Dentists, we are giving you a more flexible way of paying for your dental surgery and dental implant procedure. 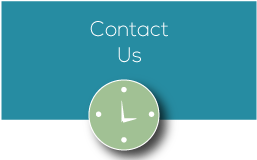 Get in touch with us at your convenience. We are always happy to help. 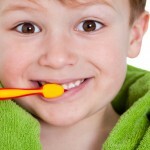 Children’s Dentistry – what needs to be done when? 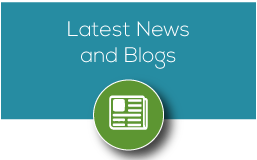 ← Affordable Cosmetic Dentistry – Wear a Beautiful Smile!